Slice zucchini with peeler length-wise. Cut mushroom into thin slices and chop fresh basil roughly. Preheat oven at 220 celcius. Oil baking dish with a little olive oil. Arrange 2 layers of zucchini strips length-wise on baking tray then some mushroom slices on top. Sprinkle with chopped basil, pepper to taste and 1/2 dl of sour cream. Cover with mozerella and top with 2 to 3 slices of vastenbotten cheese. Do a second layer following the same process. 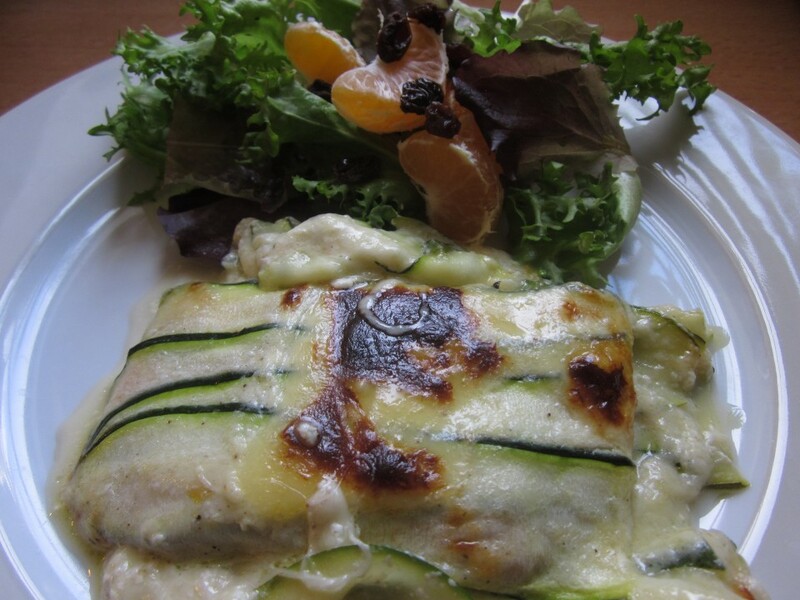 And the top layer with only zucchini and the 2 cheeses. Bake in oven for 15 to 20 minutes or until it is slightly brown. Serve with salad on the side. NOTE: You can use any other firm cheese or pamesan instead of vasterbotten cheese. Tags: Autoimmune Diet, Baked Zucchinni, Cheese Recipe, and Healthy Food.